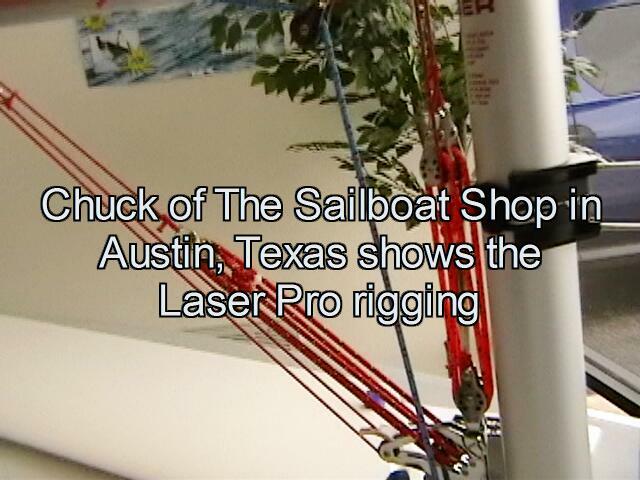 I went by The Sailboat Shop in Austin and Chuck showed me the new Laser Pro rigging. Incredible on such a small boat, the 15 to one boom vang, 6 to one outhaul and cunningham give a lot of control. 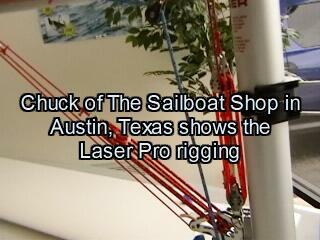 We also installed the new outhaul sleave on the boom, which really slides easy. Sure made me want to get another Laser! We made this video so you can see just how everything is attached.